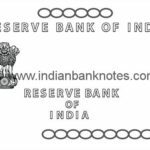 RESERVE BANK OF INDIA in English and Hindi in centre, GUARANTEED BY THE CENTRAL GOVERNMENT and Promise Text in English and Hindi. Signed by Governor in English and Hindi. Ashoka Pillar on right. 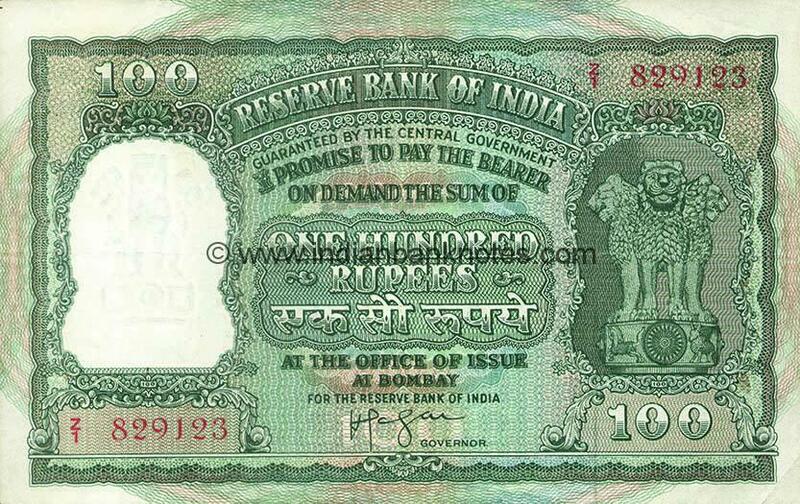 10oo in centre in lower panel. 1000 in top left corner. EK / HAZAAR / RUPAYE in Hindi in lower left corner. 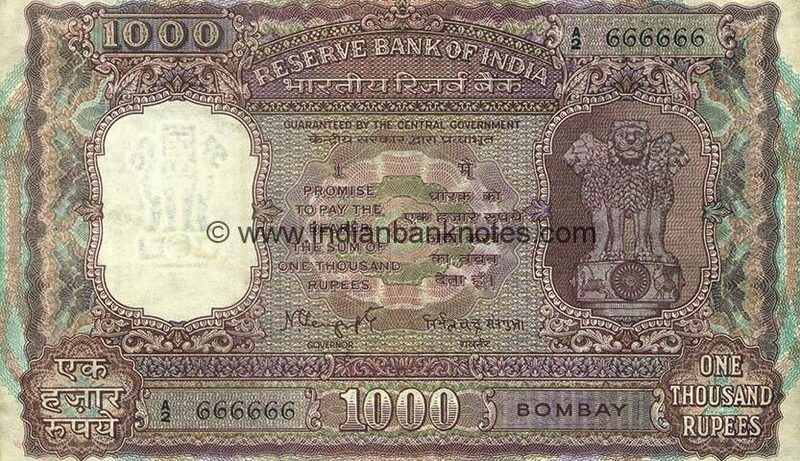 ONE /THOUSAND / RUPEES in lower right corner. Serial number in top right and lower left. Tiny ‘BHARAT’ in Hindi below watermark window and Ashoka Pillar window. Circle of issue in lower right. 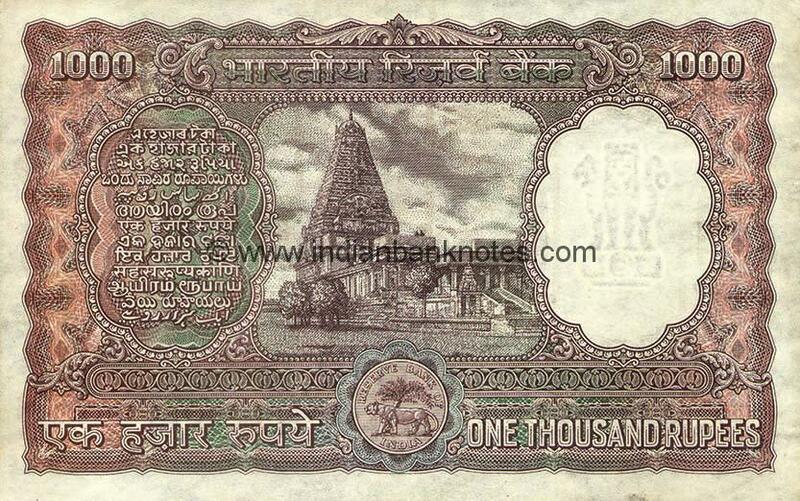 BHARATIYA RESERVE BANK above vignette of Tanjore temple in central panel . Language panel on left. 1000 in top corners. 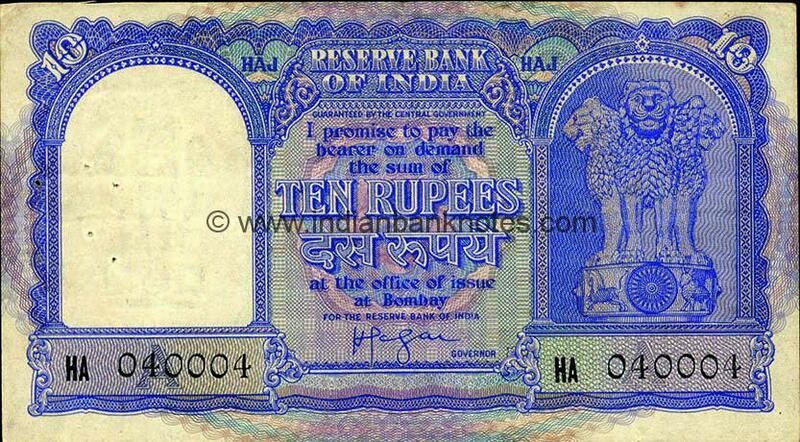 EK HAZAAR RUPAYE in Hindi in lower left, RBI seal in centre and ONE THOUSAND RUPEES in lower right. 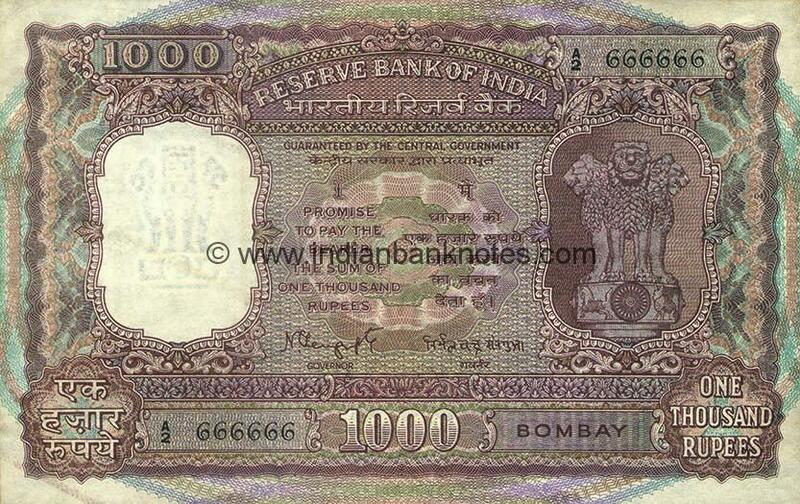 Intertwined concentric circles with 1000 and RESERVE BANK OF INDIA beneath both serial number panels. 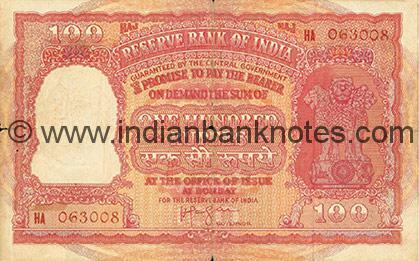 RBI as relief underprint in Circle of Issue panel. Ashoka Pillar on left. 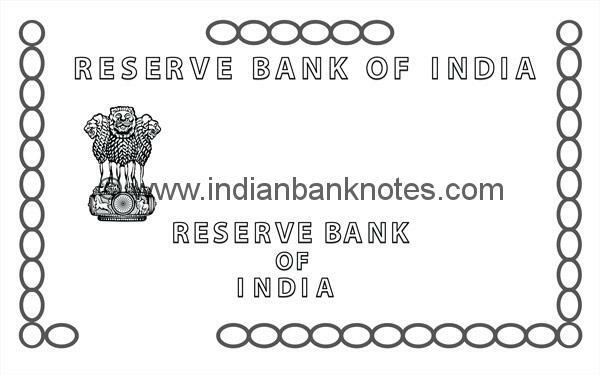 RESERVE BANK OF INDIA above and RESERVE BANK / OF / INDIA in three lines below it. Six links on top, ten links below connected to the eleven vertical links on the right and one link below connected to the eleven vertical links to the left. OFFICE OF ISSUE’ omitted from Promise text. 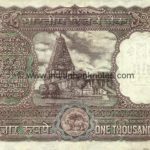 ‘TANJORE TEMPLE’ in lower right omitted in vignette.